Thanks for tuning into ThunderChats, HOOOOOOOO! Where we cover all things Oklahoma City Thunder, Kentucky Wildcats Basketball, NBA, NCAA, Basketball, and a little bit of everything in between! Media Day Recap with Stephen Dolan of Thunderous Intentions! OKC Thunder Media Day Recap! A conversation with Stephen Dolan of Thunderous Intentions! Today Stephen Dolan of Thunderous Intentions joins the pod to talk about his recent article on a famed shooting coach, the Thunder’s summer and ceiling, make impossible decisions between players on the roster, critique my own article, and more! 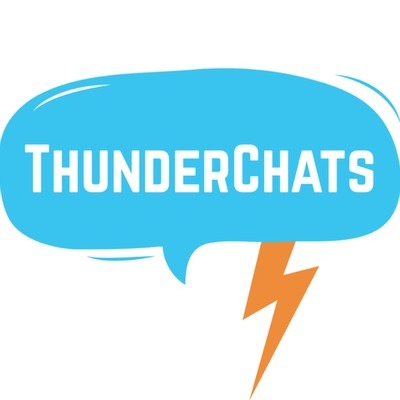 ThunderChats will bring you coverage on all things Oklahoma City Thunder, Kentucky Wildcats Basketball, NBA, and a little bit of everything in between! Stay Tuned for more!